Sodium caseinate is made from casein which is the main protein present in milk which is used as an excellent food additive and for industrial purposes as it contains high protein & nutritional value. In food industry it is used to improve the quality of products. 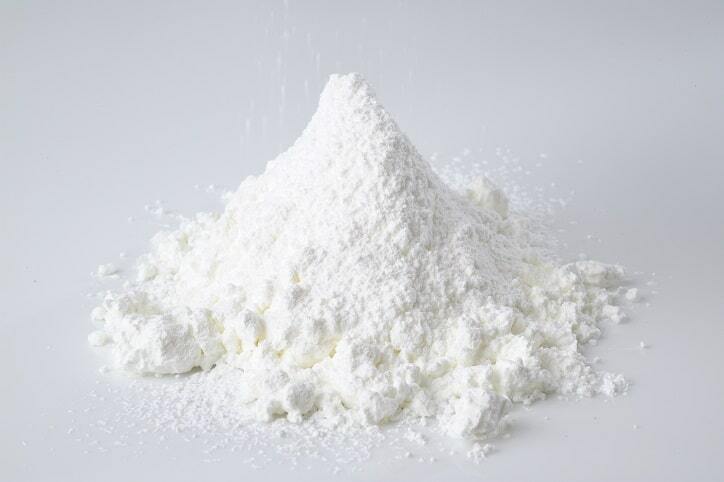 Sodium caseinate is totally safe for consumption as it is announced as unrestricted food additive by FAO and WHO, so, used in all kinds of food products such as meat products, roasted food, artificial cream, coffee partner, baby food, cheese, various cake and candies, beverages, medicine for daily uses and many more. Titan Biotech is one of the leading manufacturer and supplier of sodium caseinate around the world. We are prominent holder of certificates like ISO 9001, FSSAI, cGMP (current good manufacturing practices), CE which ensures that all the products are obtained under high hygienic conditions and refining process to produce an end-product that is suitable for onward consumption. Sodium caseinate is a multi-functional & pure milk protein, it is prepared under high hygienic conditions by mixing extracted casein with a sodium compound such as sodium. Then the mix is dried to produce sodium caseinate powder. It retains the original protein and completely soluble in water. Since casein is the source of all the essential amino acids it provides high nutritional value. In case of deep fried food, it absorbs the extra fat and act as binding agent for processed food. Easy to consume as it is soluble in water and a free-flowing powder. Can be used as foaming agent in food. Used for natural texture enhancement. Acts as stability agent in case of creams and also used as coffee whitener. Used in wines due to the coagulant property. In Bakery and Confectionary Industry – Production of Special flour, blends, Pastas, Grain Solutions bread and other confectionary products. In Beverages – It can be used as nutritional supplements, thickener, emulsifier and texture stabilizer in beverage. In Pharmaceutical – Widely used as intermediate in Pharmaceutical in of lowering blood pressure and sugar blood level. In Dairy Products – For production of Low-fat Pastes, Yogurts, Creams and Whiteners for Coffee, Grain Cheese, Ice-creams, Processed Cheese, Maturing Cheese and other imitations of Creams, Desserts. In Meat Industry – They are used as emulsifier and Free fat stabilizers. In Health and Personal care– Sodium Caseinate can be used in cosmetic and personal care products.